Are you looking for a gift for someone who loves Formula One motor racing? Or are you – like me – a fan yourself? There are so many books available about the sport today that it’s difficult to know where to start, especially if you’re looking for gifts. You see,part of the problem is that many fans have an affinity to particular drivers or teams. If you don’t know their own personal affiliations then you could end up buying a book about a driver they don’t particularly favour. What about those ‘review of the year’ books? 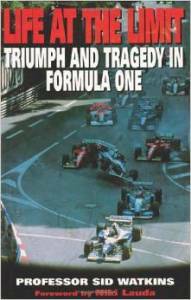 I believe that most genuine enthusiasts find them pleasant to browse through for a short time but what we really want are books that teach us something about the insider’s view of Formula One but something that’s truly entertaining as well. Here’s my selection. 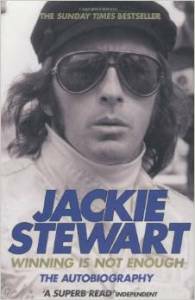 Sir Jackie Stewart has become a legendary motorsport figure and the book you see here, his autobiography, is totally fascinating. In the book we learn about they early days of the sport – the days when it was expected that several drivers would lose their lives. Sir Jackie goes on to explain why he became a champion not only of the sport but improving its safety. 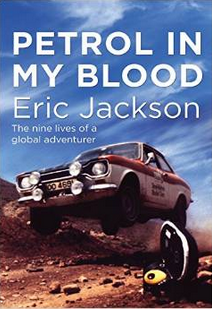 But there are other fascinating details of his life too – the book isn’t entirely about motorsport. For example, in his early days t school and in fact for many years afterwards, he was sure that he was a pretty unintelligent person. It transpired that he has dyslexia and to this day is unable to read, write or use a keyboard. Nevertheless, this hasn’t prevented him from becoming a Formula One world champion and a legend in the sport. 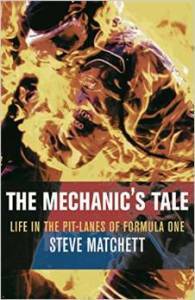 Steve Matchett is well known in the sport. He’s also popular in the United States as he is now a commentator on television for the sport. Steve always gives excellent and knowledgeable commentary and this is not only because of his incredible knowledge and passion for the sport. He started his career in Formula One as a mechanic, working in the pitlane. This book describes how he first began to work within the sport and goes on to tell about the teams and the drivers from a true insider’s point of view. During his career he worked with many legends of Formula One including Michael Schumacher during his first championship year. There are few people today who know the sport as well as Steve and this comes out in this entertaining, humorous and enlightening book. Most Formula One fans will need no introduction to the name of Sid Watkins. Because the sport had such a poor record when it came to injuries – and indeed deaths – the man who is described as the ‘Formula One supremo’, Bernie Ecclestone, recruited Professor Sid Watkins to be a major part of the race series and to act as its dedicated doctor. Sid Watkins developed many innovations which are still in use today and there’s no doubt that many Formula One drivers owe their life to this man. But please don’t think that this is a gloomy book – it is peppered throughout with humour and anecdotes about the Formula One life and times. 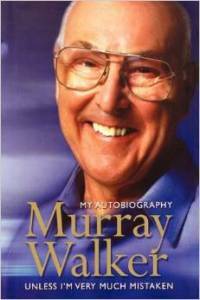 For many people, especially the British, Murray Walker was the voice of Formula One. For many years he was a much-loved commentator on the British televised races. He was well-known for his totally genuine enthusiasm for the sport which spilled over into his commentaries. This meant that often, his errors and his excitement became known as ‘Murrayisms’. For those of us who remember Murray Walker’s commentary, this book is a complete gem. For those who are too young to remember the man, they will find that they are fascinated by the earlier days of the sport and the commentator’s true passion and fanaticism. This is a highly entertaining read which will be totally enjoyed by any Formula One fan of any age.